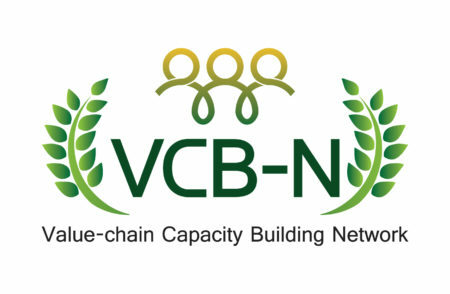 The following good practice is conducted by a VCB-N member – Faculty of Agriculture, National University of Laos . 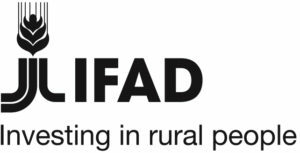 The case study was selected and presented in Mekong Knowledge and Learning Fair (IFAD) by Silinthone Sacklokham from National University of Laos. The Supermarket Chain or SUPERCHAIN Project was implemented by Markets and Agriculture Linkages for Cities in Asia ( MALICA) and supported by IFAD between 2006 and 2010. The objective was to facilitate poor farmers having access to agricultural products quality chain. The project was implemented in Vietnam (Beef value chain Cao Bang) and in Laos. In Laos, the project was implemented by the Faculty of Agriculture, National University of Laos in Xieng Khouang Province which is located in the northern region of the country. Smallholder farmers produce agricultural products for Vientiane Capital markets however, they still faced the problem of under or over supplies to the market because lacking market information on quantity and quality of products. In order to link farmers to have better access to Vientiane Capital market our method was to conduct production studies with the intention to understand the production potential and its advantage, and to conduct a market survey in Vientiane Capital market aimed to identify the market potential and constraints of agricultural products from Xiengkhouang. After the surveys and data analysis, we selected the product to promote and the approach to promote the product. Among the three main crop products produced by smallholders in Xiengkhouang such as garlic, vegetable and small chicken rice we selected vegetable to support because it was produced by poor households in Khoun district. More than 1000 people including poor producers, collectors as well as local authority in Xiengkhouang and traders and consumers in Vientiane Capital benefited from this project. We found in the survey that vegetables from Khoun district have special advantage in terms of quality because of good soil, suitable climatic condition, and farmers have had experiences in vegetable production for the market since more than 10-15 years. The study of potential of product allowed us to identify the weakness of the product which was quality and quantity. Another important weakness was the loss of identity of vegetable at the collection stage. When we looked at the opportunity of products in the market we found there was a shortage of vegetable in Vientiane market in rainy season where Xiengkhoung could produce and supply at this time of the year because of its suitable geographical and climatic condition. Regarding the treat of the vegetable products from Xiengkhouang the study identified the high market competition. 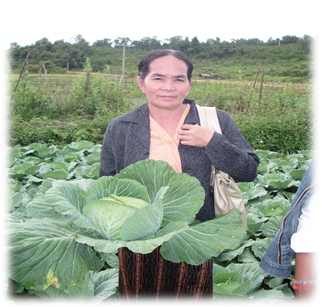 Based on the production and market analysis, the consultation with farmers, collectors and traders we opted to promote the cabbage production for Vientiane Capital market by one hand facilitating the relationship between the actors in the cabbage value chain to improve better quality and quantity of product supplies to the market. We organized few meetings between the actors where they could meet and exchange the information not only about the quality and quality but also discuss about the supplying of good quality of input. On the other hand, we facilitated the recognition of origin through labeling. The activities involved 20 farmers, 7 collectors and 3 wholesalers as representative of total actors. We also involved the local authority (District and provincial Agricultural officeand Provincial Agricultural and Forestry Office in all intervention activities of our project. The result of the study on the impact of activities showed that producers had learned new system of product traceability, the label was established and the network of actors in the value chain was created to guarantee the integrity of the label. Consumers recognized better the vegetable from Xiengkhouang because of the label. More than 1000 poor producers, collectors and traders have direct benefit from these activities: producers and collectors in Xiengkhouang, Khoun district and Youn community could benefit from their reputation of product origin, they could sell their product slightly better and consumers could benefit from safe food product. DAFO and PAFO have benefited from involving in the project, they learned by accompanying producers and doing. After the project ended they could continue to support the value chain. 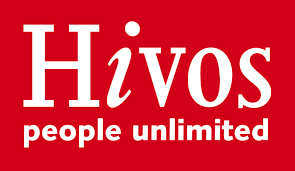 Challenge: time constraint of researchers/university people because we did not hire project manager in the field. After implementation of the project we have learned the success of the project: firstly, using the bottom up development approach for identifying problems and finding the solution and systemic approaches for looking at problems; secondly, the project’s role is facilitating and consulting but not the actor of the development itself; thirdly if actors in the value chain see their benefits and opportunity of intervention they will involve actively in the project activities; and finally the active involvement of the local authority will take place when they felt ownership of the project and our role is to provide them the power to make the decision. To the development agency and government when implementing development project, they should be aware that there is no single solution for all problems. Each zone or area has its own problems and potentials therefore, understanding the diversity and complexity of the situation in the project area before intervention will be important to consider. Moreover, the involvement of local people since the beginning of the project in problem finding and problem solving process will create the synergy and sustainable development. Lastly, the development projects should start the activities in pilot area to learn and adjust before extending to larger area and in different context.